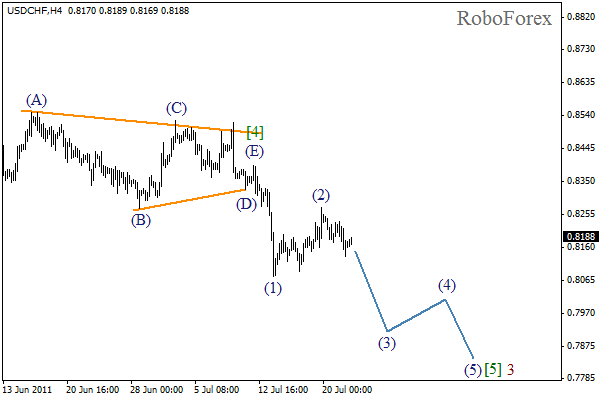 We may assume that wave (3) started inside bearish impulse of wave  of 3. Most likely the price will reach new minimum today or on Monday. The forecast is still bearish, the price may continue falling down. At the H1 chart we can see more detailed markings. 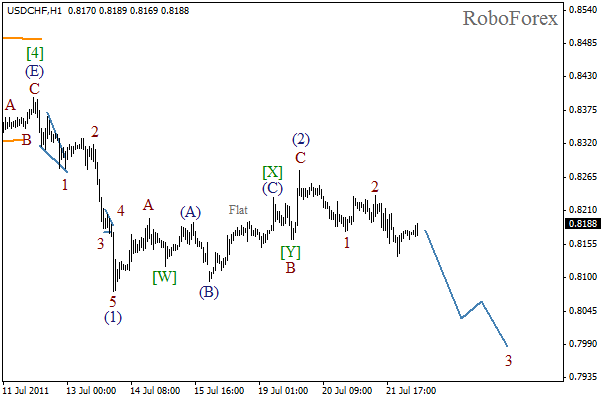 It seems that after the market has completed initial impulse, it is forming an extended wave 3. The price may continue falling down during the day. 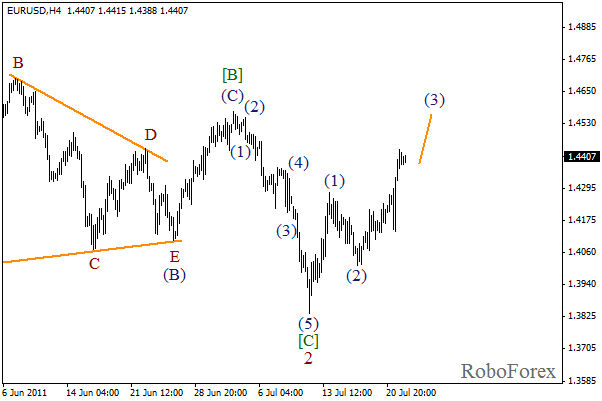 At the H4 chart the third wave continues. Yesterday the market made a strong upward movement and confirmed this scenario. The forecast hasn’t changed much and is still bullish. The price may continue growing during the next several days. 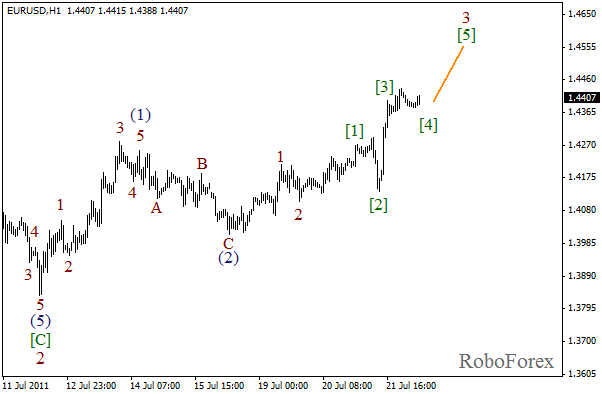 At the H1 chart we can see that wave 3 becomes extended. On the minor wave level the fourth wave is being formed. In the near term we can expect the local correction to be finished and the fifth wave to start.